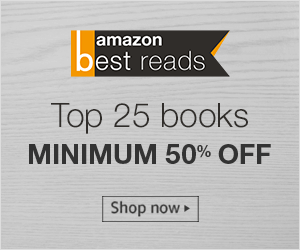 Mumbai, as it is known, is a city that never sleeps and stays true to the saying as well. A city that never sleeps, what it does throughout then? Work? Entertainment? Think? What all? That is something, one realizes or rather sees through with a first hand experience only after being in Mumbai and spending time exploring the city. There are various things that the city will offer you, right from entertainment to joy, from happiness to heartbreaks, from peace to persistence and from anything to everything. Being a Mumbaikar, I can affirm that the city has unity even in adversity and may divide around movie releases, elections and sports. Mumbai is the amalgamation of every single human emotion from good to worse. But, what if the city faces a blackout? A complete blackout? A thought, you wouldn't ever want to pass by your mind. 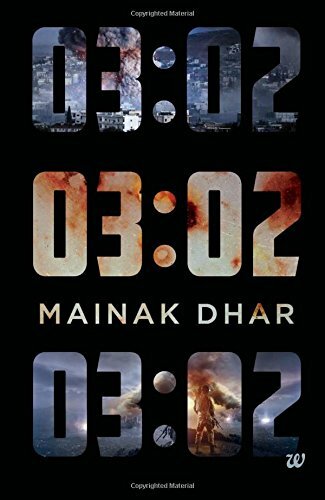 I recently read 03:02, a book by author Mainak Dhar, who describes himself as a cubicle dweller by day and writer by night and is based out of Mumbai. Mainak Dhar has previously written books like Zombiestan, A Little Mayhem, Deadland, Phantoms Of The North amongst the others. 03:02 is a fictional story which revolves around the plot of a complete blackout in the metropolitan city of Mumbai and then the world at large. The story is about the combat and the fight back by everyone, it is about the survival first and then the existence. 03:02 starts with introduction of Aadi, his routine and the changes his life is going through, only for betterment, but something keeps bothering him before he can make up his mind to accept the change. Aadi, is like any other human working in a corporate keeping the aspirations aside and then one day in the middle of the night, his life, his vicinity and the city get struck with a blackout, which at first seemed like a power cut. Moving ahead, the heroics of Aadi, come into the picture and how he plays a crucial role in an attempt to get rid of the blackout and the subsequently huge problem behind it. Does Aadi manage to get rid of the problem, and become a hero? That's for you to read and find out. Mainak Dhar has taken the complete liberty as far as fiction is concerned, so some things, however unrealistic they sound in a real life scenario, can be ignored as a part of the overall story. The story at certain places raises concerns of global issues as a part of the narration and suggestive measures, by the protagonist, for the same are taken. In the book blurb, the author says that "This is our story" and while you read you do find it relevant. The subtle start slowly turns into a fast paced action thriller that grips you, and the detailing to the situation acts as an adrenaline rush to the story. The imagination that has been put behind the story is commendable and the writing compliments the same. I would recommend this book to anyone who would like to read something that revolves around science, geeky stuff, war and fiction.